Russell Simmons is among the legends in the world of hip-hop. Aside from his contributions that helped spread the genre, Simmons is also a successful businessman with dozens of ventures that add up to his impressive wealth. Of course he has not forgotten to give back to society through his many philanthropic causes and through his teachings of the benefits of meditation. 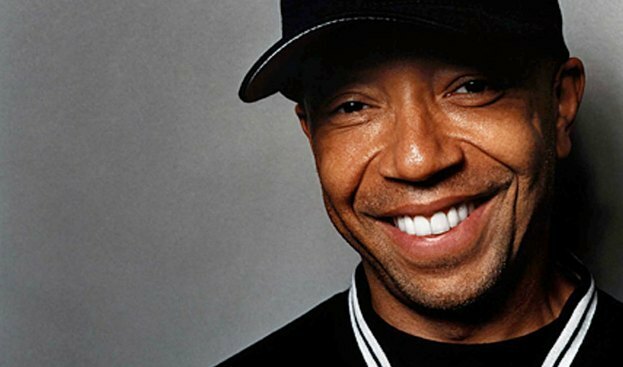 Let’s take a look on how Russell Simmons built up his empire. 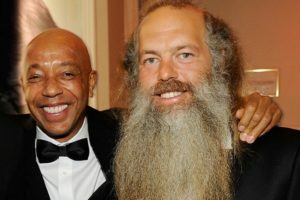 How did Russell Simmons make his money & wealth? Russell Wendell Simmons was born in Queens, New York, on October 04, 1957. He had his first exposure to hip-hop in 1977 while hanging out in a dance club. Seeing how the crowd went wild to the new music, Simmons immediately recognized the massive opportunity in helping that genre grow. Simmons began his journey by promoting club shows and hip-hop parties throughout Queens and Harlem. He also acted as the “manager” of his friend and budding rapper Curtis Walker who later became known as Kurtis Blow. Simmons co-wrote Walker’s single “Christmas Rappin’” in 1979 and was among the first few hip-hop tracks to be aired on the radio. Eventually Simmons left college and started his own management company named Rush Communications. Through this company Simmons managed several rappers in the local scene including the famed group Run-D.M.C. which was helmed by his brother Joseph. In 1984 Simmons founded the record label Def Jam along with fellow producer Rick Rubin. It quickly became one of the biggest hip-hop labels and was behind the success of many artists. Four years later Rubin left Def Jam to pursue a different genre while Simmons remained and continued to work with fresh hip-hop talents. He sold his shares on the company to Universal Music Group in 1999 for $120 million to focus on other businesses. Outside of music Simmons produced television series like Def Poetry Jam and Def Comedy Jam, and movies such as Krush Grove and The Nutty Professor. He has also published books that range from stories in the entertainment industry to self-improvement and veganism. His Rush Communications company expanded into a conglomerate that handled his multitude of ventures. Some of Simmons’ products include the energy drink DefCon3, the Phat Farm Motorla i733 mobile phone, the “negative calorie drink” Celsius, and the hip-hop-centered website Global Grind which was purchased by Interactive One in 2014. He co-founded UniRush Financial Services with Unifund Corp and came up with the RushCard debit cards. Simmons also ventured in the realm of clothing and lifestyle lines with Phat Farm (which he sold in 2004 for $140 million), Baby Phat, and Argyleculture brands. More recently he co-founded All Def Digital, a media company that focuses on music and youth culture. Simmons was married to fashion designer Kimora Lee but the two divorced in 2009. Now Simmons is currently dating actress Shannon Elizabeth. He was romantically linked to models Hana Nitsche and Sasha Volkova. Does Russell Simmons have kids? Simmons has two daughters with Kimora Lee namely Ming and Aoki who are now 16 and 14 respectively. Simmons supports the two girls by giving them $20,000 each on a monthly basis until they reach the age of 19, plus a vehicle worth 60 grand until they’re 16. Kimora Lee was given sole custody of the girls. Simmons can only visit them if he’s accompanied by security personnel and a nanny, and he gains custody every eight weeks and in some holidays. It is reported that Simmons earned $39 million last year. Simmons resides in a 6,000 square foot mansion located in Los Angeles. The abode features five bedrooms, a zen garden, and a collection of art pieces and symbols of different religions. In 1995 Simmons and his brothers Danny and Joseph founded the Rush Philanthropic Arts Foundation. 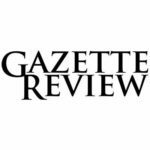 The organization focuses on youth art programs and has two galleries that feature works of artists from all walks of life. Simmons and civil rights leader Dr. Benjamin Chavis Jr. founded the Hip-Hop Summit Action Network in 2001. The non-profit seeks to utilize hip-hop and its cultural relevance in raising awareness towards issues that concern the youth. The following year he was appointed Chairman of the organization Foundation for Ethnic Understanding (FFEU). FFEU advocates understanding between different ethnic and religious communities. Another non-profit Simmons founded with Dr. Chavis is the Diamond Empowerment Fund in 2007. It provides education and other related initiatives to countries that focus in producing diamonds, mainly in South Africa. Simmons was delegated as the Goodwill Ambassador of the United Nations Slavery Memorial in 2009. The memorial in New York was revealed in 2015 and serves as a tool that teaches the current and future generations about the history and cruelty of slavery. Simmons joined The Happy Hearts Fund in 2012 as a member of their advisory board. The organization was started by Petra Nemcova, a philanthropist who survived the devastating tsunami that struck Thailand in 2004. The experience inspired her to start the organization that focuses on building shelters in calamity-prone areas and helping survivors. In 2013 Simmons donated $10,000 to anti-violence organization LIFE Camp. He encouraged fans in Twitter to donate to the said organization for their fund-raising campaign to end gun violence. He hosts their annual Forgiveness Dinner every January, an invitation-only event for parents who lost their kids due to gun violence. Since 1999 Simmons practices veganism and is a staunch supporter of animal rights. His Argyleculture clothing line does not make use of materials derived from animals. Simmons also expressed his negative stances towards fast-food chain KFC and dog fighting. Recently in 2016 Simmons initiated a Town Hall through All Def Digital. The invite-only event tackled criminal justice reform and policing. It was announced that there will be more Town Halls in the future from All Def Digital. People for the Ethical Treatment of Animals (PETA) awarded Simmons with the Humanitarian Award and the Person of the Year Award during 2001 and 2011 respectively. Simmons was crowned as the #1 Social Change Agent in the “Movers, Shakers, and Tastemakers in the Jewelry Industry” list of jewelry magazine JCK in 2012. This was due to his efforts with the Diamond Empowerment Fund. What’s with Russell Simmons and meditation? Simmon s extensively practices Transcendental Meditation and Jivamukti Yoga. He always promotes meditation as a way to overcome the trials in life. He even designed an app for Android and iOS named “Meditation Made Simple” that teaches more about the practice. Simmons held a Transcendental Meditation workshop in 2009 for the participants of The Doe Fund’s “Ready, Willing & Able” program. He is currently working on a brand of apparel for yoga practitioners named Tantris. Based on Simmons’ website Tantris also covers the construction of yoga studios. Previous articleRick Astley’s Net Worth 2018 – How Rich is He?